Today's make that I'm sharing with you, is the main reason I wanted #sewbibs to become a real thing. 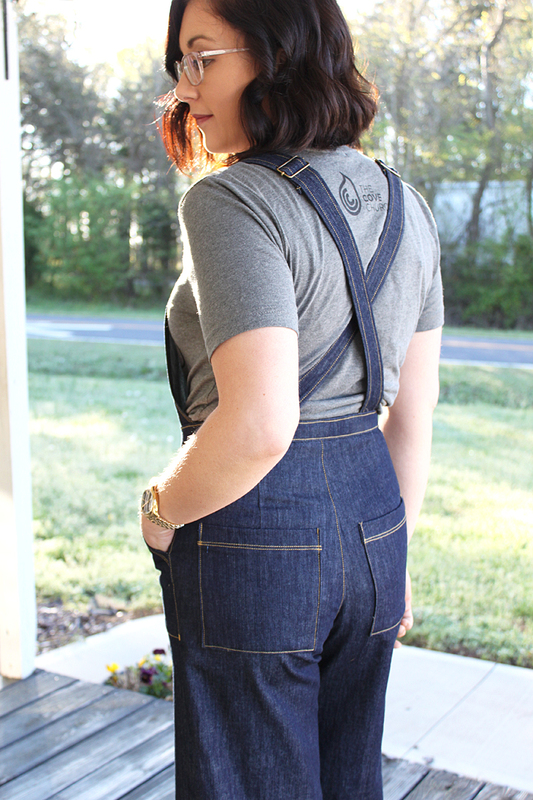 The Jenny Overalls. To be honest, when this pattern first released I thought it was a gorgeous pattern, but that it probably wasn't for me. Then Heather slayed me with her button front version. 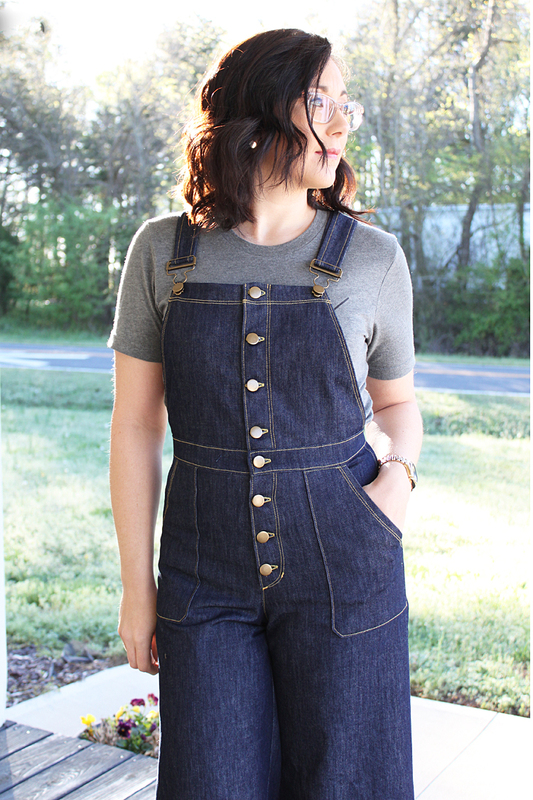 From the very first second I laid eyes on her amazing pair of overalls, I knew that someday, I'd have a pair just like them!! I'm so so so happy that these finally became reality! I had so much fun sewing these babies! 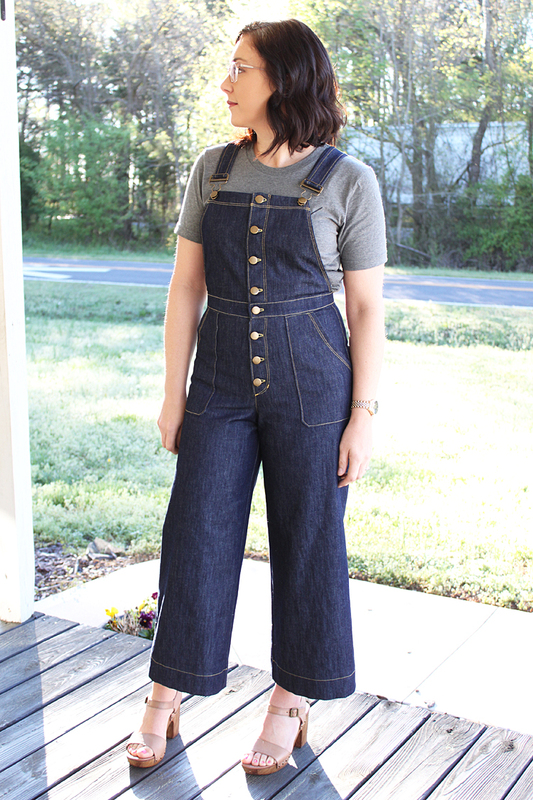 There are bonus pattern pieces available on the Closet Case website for this variation. I am so in love with it! 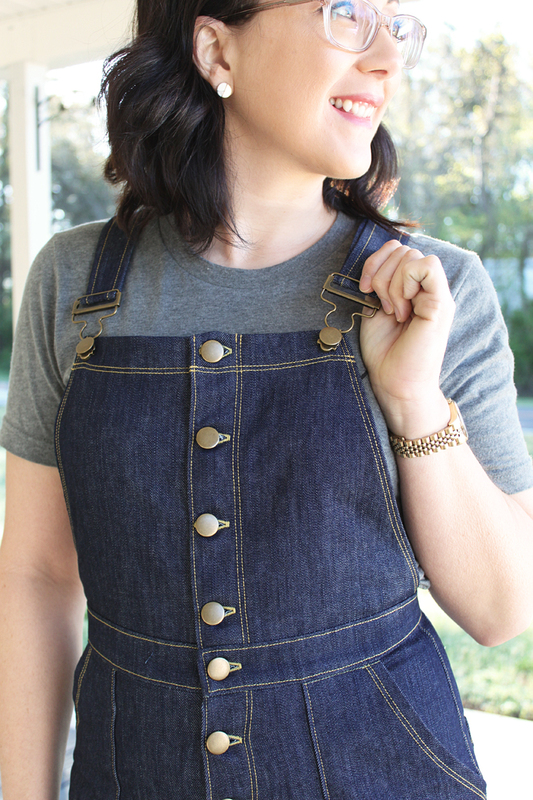 Button front denim makes me swoon, and those patch pockets!! All the heart eyes. Since I hadn't made this pattern before, I knew that a muslin was definitely necessary, so I sewed one up with some preemptive pattern changes made. Since I have a short torso - like I discussed HERE - I took out 1" from the rise. Based on my measurements, I also graded between a 10 in the bust and waist to an 8 in the hips. The muslin turned out pretty good, but revealed that I needed to shorten the rise even more, as well as remove some length from the legs. So for the final version, I ended up with 1 1/2" taken out of the rise, shortened the bib 1/2" from the top, and shortened the legs 1". Y'all. The fit is perfection! 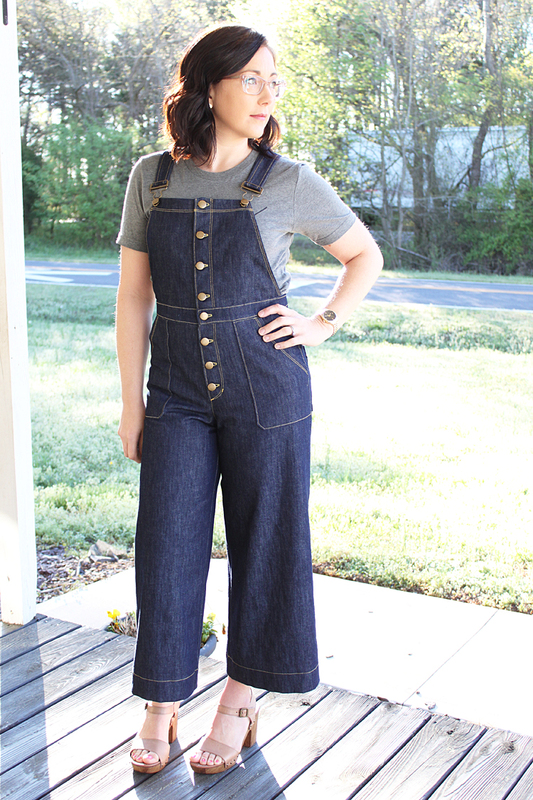 Even though I made a muslin, I still basted the whole thing together in my final denim fabric to assess the fit. This is very important since every fabric behaves differently! 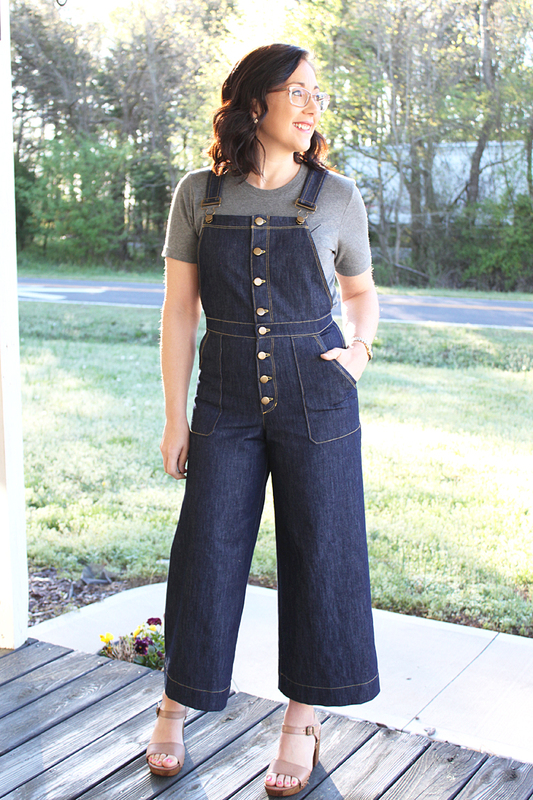 I ended up taking in the seam allowances a little bit because, even though this denim is a rigid denim, it was relaxing even as I was sewing. I think it will continue to break in as I wear them, so I kept the fit pretty snug, since I want a fitted look to these. 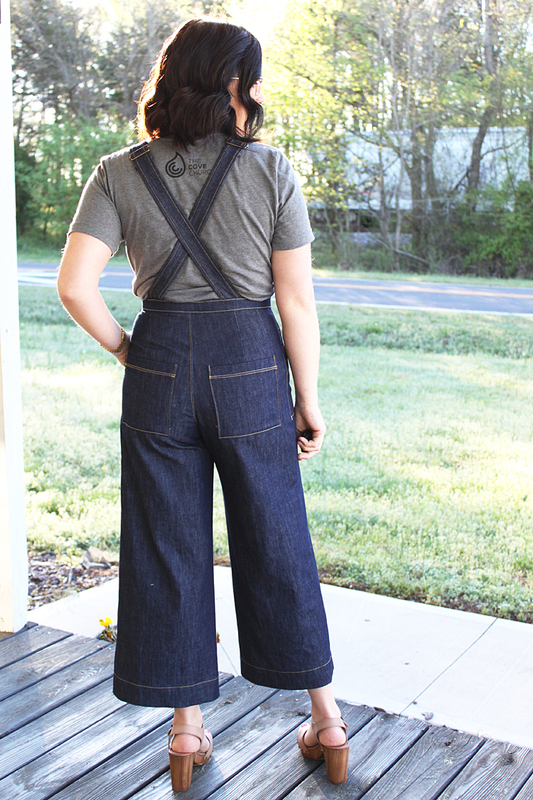 I did swap out the back pockets for Lander pockets. I just preferred the square shape to the round version included with the Jenny pattern. 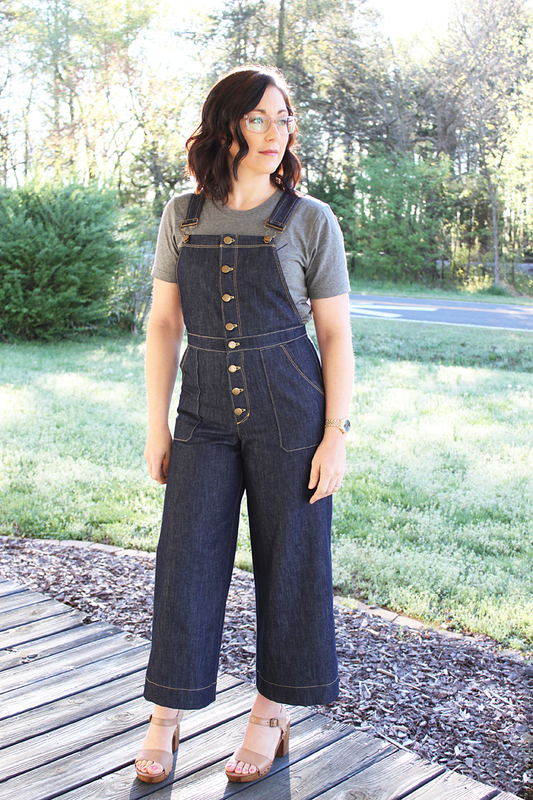 The fabric is 10oz Cone Mills non-stretch denim. I purchased it from Imagine Gnats, but it is unfortunately sold out! 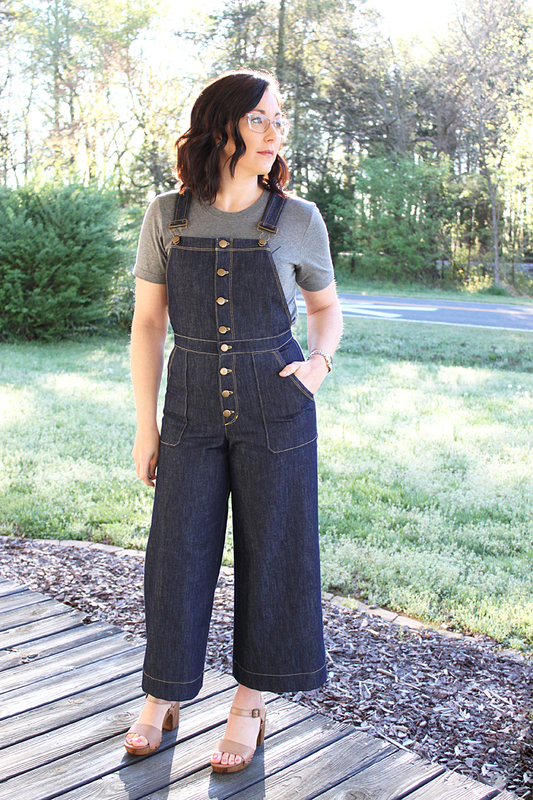 :( However, there are still quite a few other Cone Mills options available in the Imagine Gnats shop, as well as another favorite of mine, Threadbare Fabrics. And these shops happen to be sponsors of #sewbibs, so check out THIS POST for a coupon code to Imagine Gnats! But hurry, the challenge, and therefore the discount, ends tomorrow! I think that about wraps it up! I hope you enjoyed this post, because I sure enjoyed this project! I told my husband, this was one of those projects at the top of the list in my head. You know, the ones that are lit up by sparkles and unicorns are circling them? No, just me?? Haha. Well either way, it was a dream project that I'm so happy I tackled because it turned out exactly, if not better, than I imagined!! Thanks for stopping by and spending a minute of your day with me!! *Disclosure: A copy of the pattern was provided to me at no-charge in sponsorship of the #sewbibs challenge. Hardware and fabric was purchased by me. omg, those are sooooo good! You did an amazing job and I love the button front. Is 50-something too old for those? I want some so badly, after seeing yours! Thanks so much, Lori!! And the answer is definitely, no!! You will rock them! 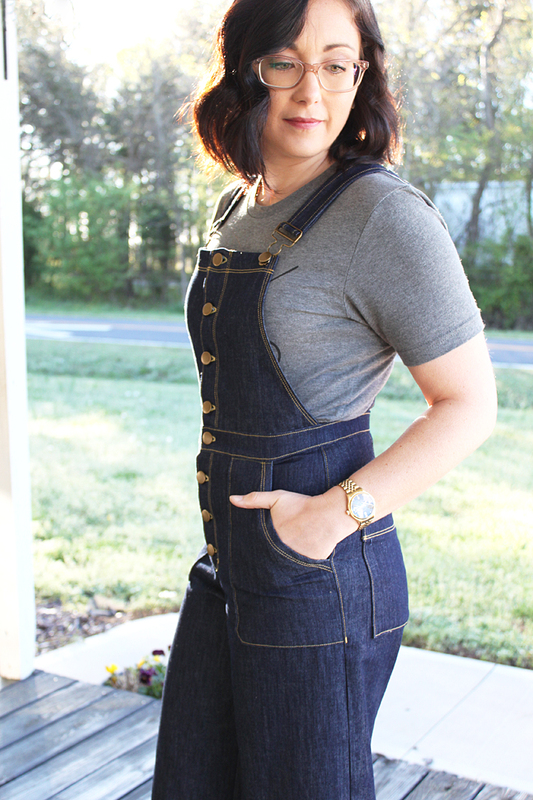 How cute are you in these bibs? Adorable! These are soooooo fabulous, Heidi! You got such a great fit from this pattern. 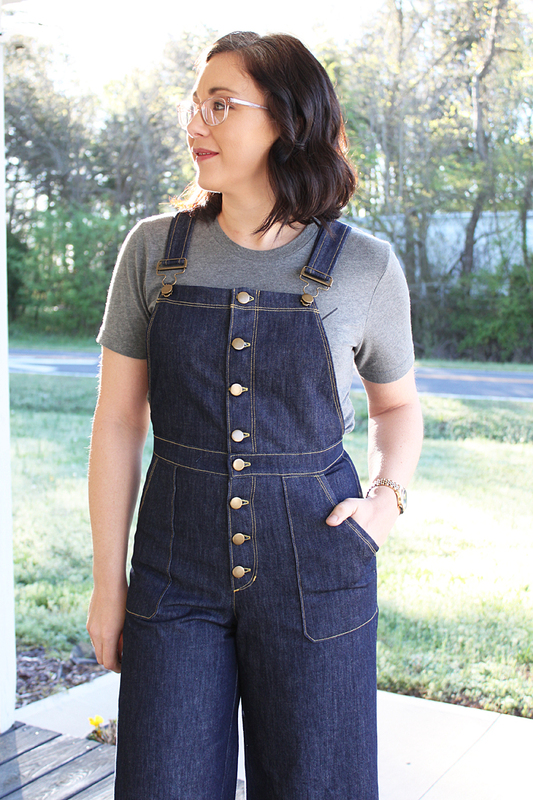 I love all of that topstitching and those cool buttons. Amazing job on these!